THIS is the final chapter of a two-part series about former star athlete Ruwayda Henri. 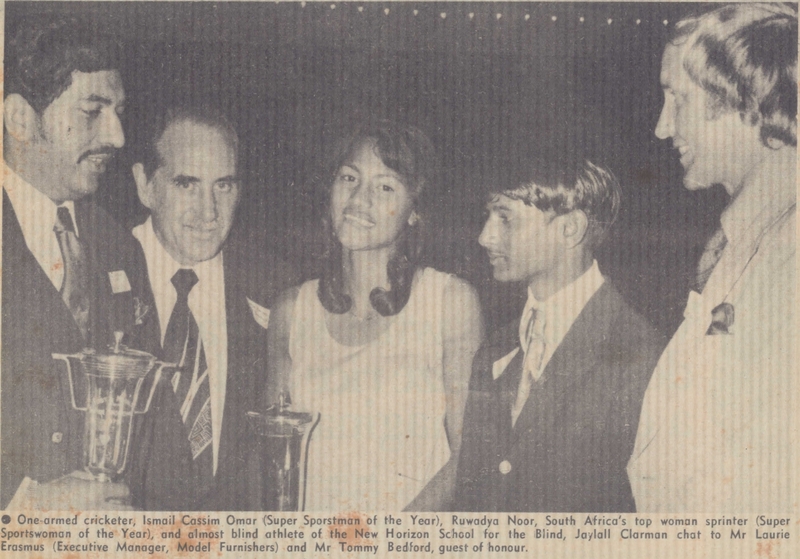 While at the club, Henri also added the SA Colleges 100m title to her name in a race in which she beat Sharon Hanslo by a whisker. In many ways, Henri was fortunate to have been surrounded by good athletics company who influenced her career for the best. Ruwayda Henri on her way to another victory in the sprints. “Ismail introduced me to Lux Gordhan and Derrick Naidoo, arguably two of Natal’s greatest athletic coaches. “Lux is a former manager and coach of the High-Performance Centre athletic academy at the University of Pretoria, and Naidoo is a former senior sports lecturer at ML Sultan Durban (Durban University of Technology). They both generously gave their time to coach and educated me about what it takes to be an athlete with substance. How grateful and indebted I am to all three of them. They are all heroes in their own right and should be acknowledged for recognising and supporting the progress of the sport,” said Ruwayda. Gordhan was full of praise for one of Natal and South Africa’s best sprint talents. 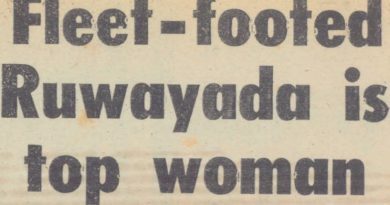 “In those days, 1970/71/72, it was unusual to have a female athlete coming to train with the boys. But she did. She had a good group of youngsters to encourage her especially the legendary and late Ismail Collier. She was part of the group, 13 athletes, who became my first group of athletes whom I started coaching, after an injury, in 1971. She was absolutely dedicated, attended training in the worst weather and training conditions. She lived in the Suburbs, if I remember correctly, but schooled in Wentworth. So she had to take buses to get to training. She had world-class talent. 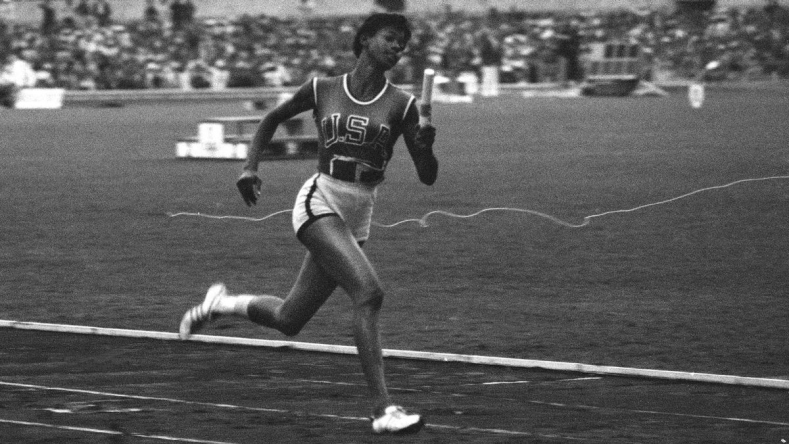 She was built like the American athlete, Wilma Rudolph, and ran like her too. She became SASSSA champion in record-breaking fashion in Transvaal,” he said. Ruwayda’s SASSSA 100m record time of 12,2 seconds stood until the books closed in 1994, the year of South Africa’s first democratic elections after which Nelson Mandela became president. Springbok captain Tommy Bedford, right, was a guest of honour at the Natal Sports Awards. 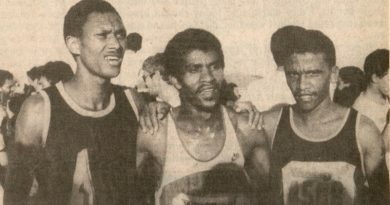 In the centre is Ruwayda Noor, the SASSSA sprint champion, and record holder. Her 200m record time of 25,9 seconds was broken by the matriarch of sprinting Suezette Arendse of Boland in a time of 25,7 seconds in 1979. 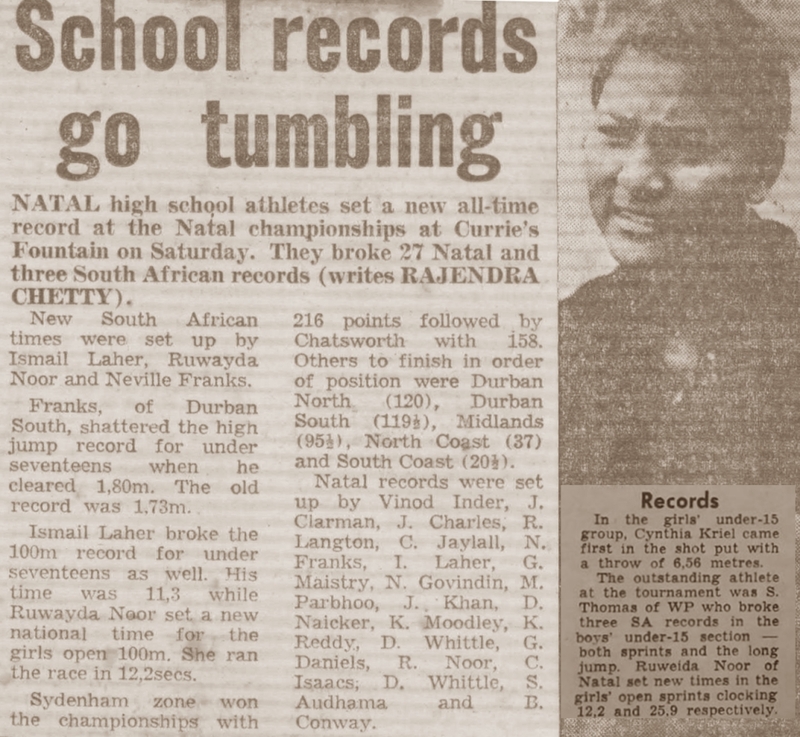 For a time Ruwayda held both SA schools’ record simultaneously – a rare achievement. She was determined to give the sport a boost in her community as the athletics scene in Natal was low key. “As you know, athletics did not carry a high profile, especially in the Coloured Community. I attended a school in a low socio-economic area and as a student was fortunate to bring joy and pride to the school community. I returned to teach at the same school as a Physical Education Teacher and managed to raise the profile of the sport. It proved to be a great inspiration to many very talented children waiting to showcase their talents. The love for sport improved and many talents were discovered. After a few years of encouragement and training, a large majority of the Natal Netball team came from Wentworth High School; a sport dominated by Indian girls for many years, ” she said. 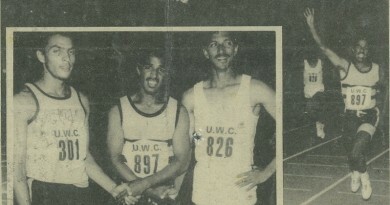 Ruwayda Noor was the Natal and the South African Senior Schools Sports Association’s sprint champion and record holder in the mid-1970s. While still an athlete, though, she played hockey. Henri no longer follows athletics with the same enthusiasm. “Not so much anymore. Sport, on many fronts, is coloured with so many imbalances that it’s hard to see the beauty, the finesse and the wonder of sport. I am sure it will return to the true enjoyment and excitement of showcasing human accomplishments when humankind is not so driven to win at all costs,” she said. She is married to Selwyn Henri. They have four children Lyle, Chenille, Dale, and Justin. “It was challenging to raise children in an environment impacted by apartheid. Australia was more aligned with the way we wanted to raise our children. Immigrating to Australia in 1986 was also to protect ourselves from imposing on our children the rhythm of our own upbringing. Moving away made it much easier to bring about changes,” concluded Ruwayda.